Try a new baon recipe that your kids will love! The beef patties can be kept in the freezer for up to 2 weeks! 1. Mix the minced beef, onions, egg, butter, bread crumbs and salt and pepper in a bowl. Combine everything evenly. 2. Form the mixture into a patty and place inside the chiller for 2-3 hours. 3. Take out the mixture, grill both sides of the patty medium well (about 3-4 minutes). Turn off the heat and place the cheese on top of the patty. 4. Cut the bun into half and toast in a pan with a bit of butter. 5. 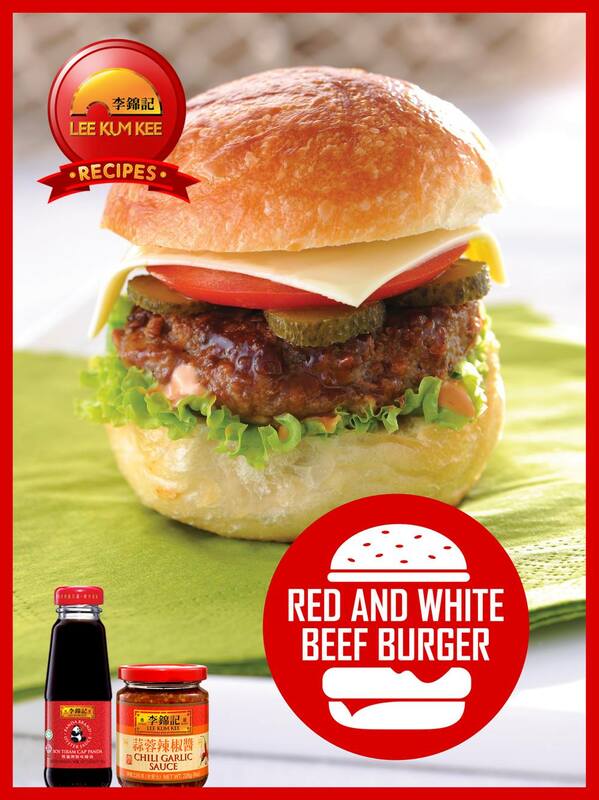 Mix Panda Brand Oyster Sauce, Lee Kum Kee Chili Garlic Sauce and mayo together and spread the sauce on the bun. 6. Place the grilled burger on to the bun, put in the sliced tomato and cucumber and add the iceberg lettuce. Add more sauce. Enjoy!